The Saxophone mouthpiece is available in many designs. This absolutely unique model combines the benefits of two leading mouthpiece makers research. 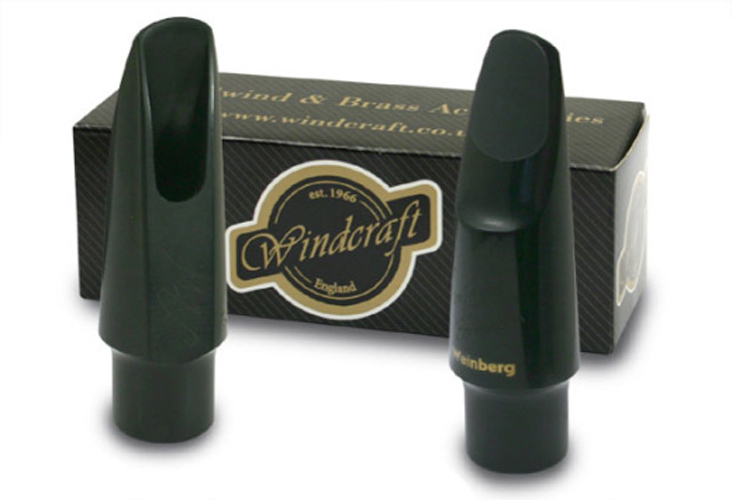 Lawton was working on a new reflector baffle and this is combined with Prof Weinbergs double baffle design to produce a saxophone mouthpiece with a vibrant tone and outstanding projection, that lets the player produce what they want. The Tenor version is designed with a 1960s Link 7 star facing. The combination of these 3 distinct features brings the saxophonist a unique saxophone mouthpiece.